Cyrsti's Condo: Cyrsti's Condo Womanless Pageant "Archive"
Cyrsti's Condo Womanless Pageant "Archive"
As I recall, one of the earliest "woman less pageant" pictures I presented here in the condo was from a person I think was referred to as "Spencer." What got my attention number of course was how he looked and number two, how he handled it. In other words, Spencer didn't seem to be surprised or embarrassed by the attention. 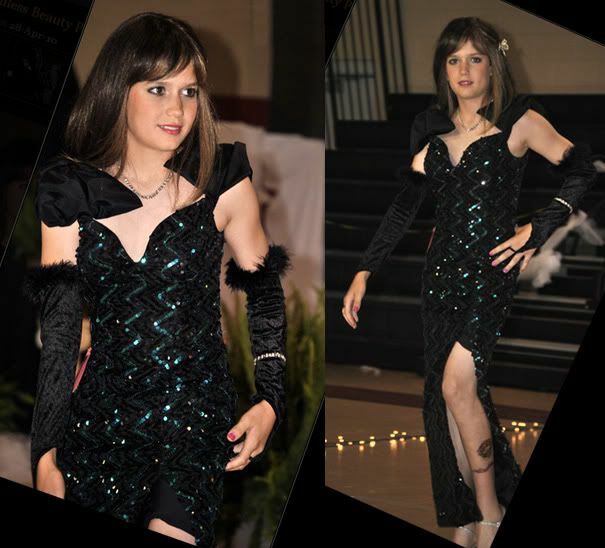 Recently, I found another combined picture from the pageant to pass along to you. Like most of you, I will forever wonder who in particular was responsible for Spencer's dress and impeccable makeup...from then on-he certainly had no problem with the rest!